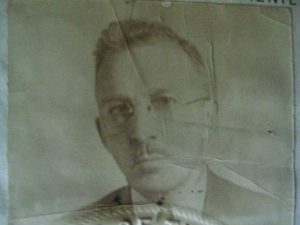 My grandfather, Louis Joseph Tomaselli, was a soldier in the First World War. Long after he passed away, I discovered an unsuspected treasure–his journal. Starting on New Year’s Day, 1918, he kept a journal for almost every day of the following eventful year. 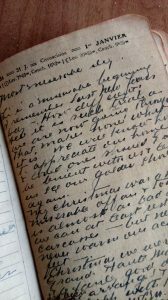 The journal is small, so it would fit in a pocket, and he scribbled entries in pencil or fountain pen–his handwriting is incredibly hard to decipher, especially the faded pencil lines. This entry, in which he describes a funeral, is appropriate for today–November 11, 2018–two hundred years after the war to end all wars. “The body is stripped, then wrapped in a blanket and gently lowered into a hole. The cold earth is then thrown upon the corpse until it is hidden from view. Sometimes a mark is placed over the unfortunate that he might be located after the war by his people. Very often not a trace of any information as to the identity of the corpse can be found. I well remember seeing him once break down into tears on Armistice Day. “Those were my buddies,” he said, forty years after returning from the war. We all grieve for one ore more family members to die in a War. So glad you found this memory of your grandfather.